All properties are sold “As Is. Where Is.” and no guarantees are made (except the 3 exceptions in the paragraph below). Before paying for the mentioned property, the prospective Buyer will be emailed both the sales agreement and copy of the title they will receive. (1) You will be the only owner (or owners, if you want multiple people on title) or your purchase price will be reimbursed. (2) No delinquent back year taxes (per agreement). (3) There will be no delinquent back year taxes at time of conveyance, per the ad’s original posted date unless a price reduction occurs. 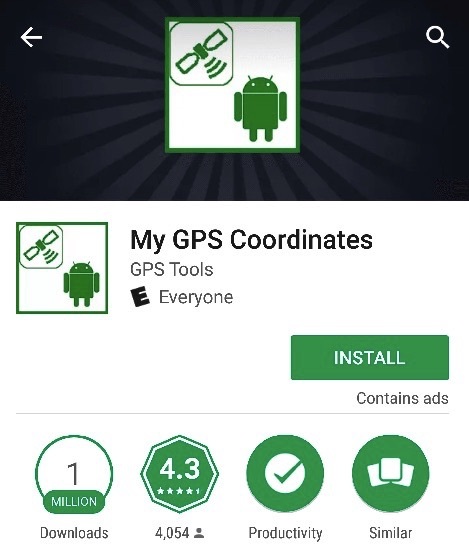 How do I find GPS Coordinates in-person and online? that is the best way to find a land’s location. 2. Then paste the GPS Coordinates after the / symbol. Here is a full example. The GPS Coordinates pasted are in bold. Just replace these coordinates with any coordinates you are looking up. just click on the mouse to complete the HTML bar search. Although our phone number is available, it is best to send an email with the property you are referencing for the fastest response. 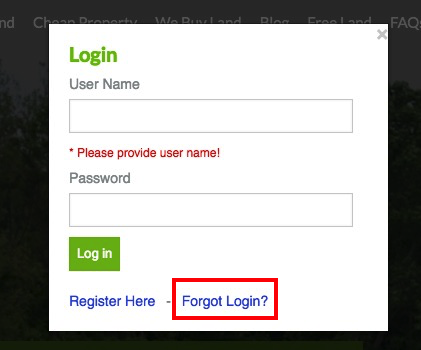 I registered for the site and forgot my password. What do I do? 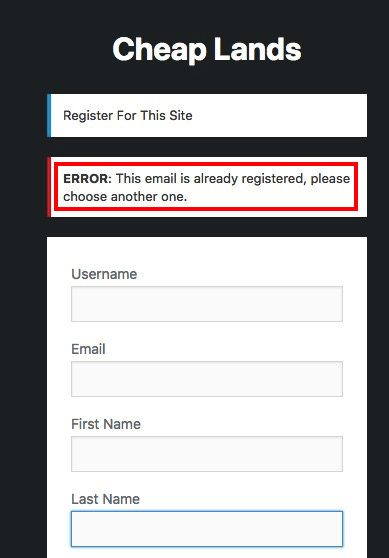 STEP 1: Please click “Register.” Yes, we realize you have already registered before. 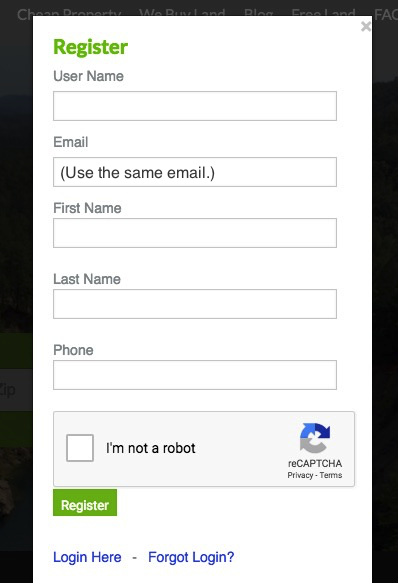 as long as the email address remains the same. STEP 7: Please check your email for the confirmation link. STEP 8: You will receive 2 emails. Please note, the emails took about 15 minutes to show up when it was tested. Do not forget to check all of your email folders. The first email will confirm your subscription. It does not matter if you click on that. 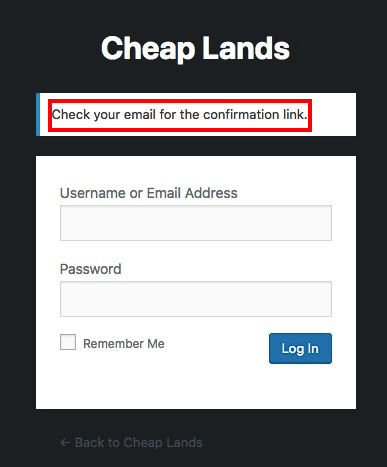 The second email will state [Cheap Lands] Password Reset. 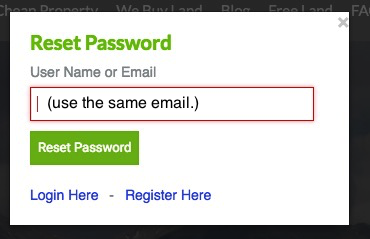 Click on the blue link at the bottom of this email to reset your password.